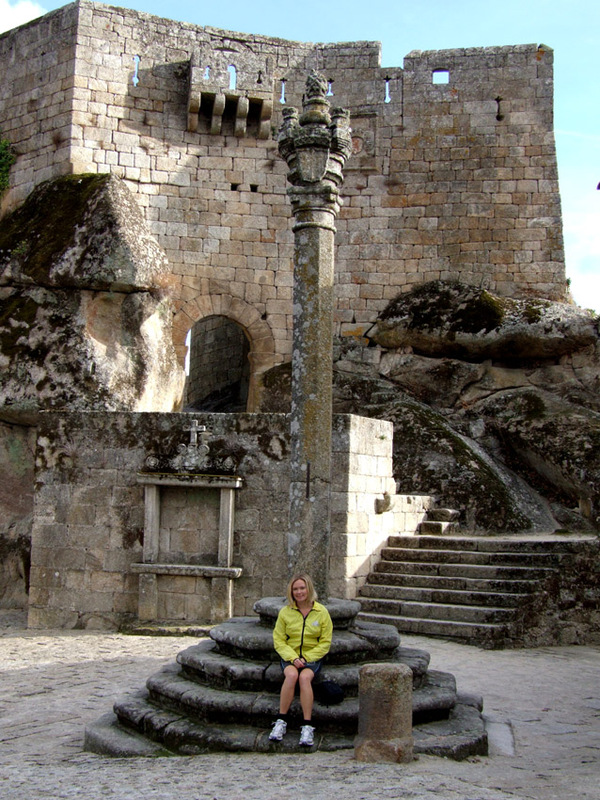 The border region between Portugal and Spain is home to some fabulous castles and wonderful rolling scenery. It’s also extremely unspoilt and the roads here are about as quiet as you’ll find anywhere in Europe. 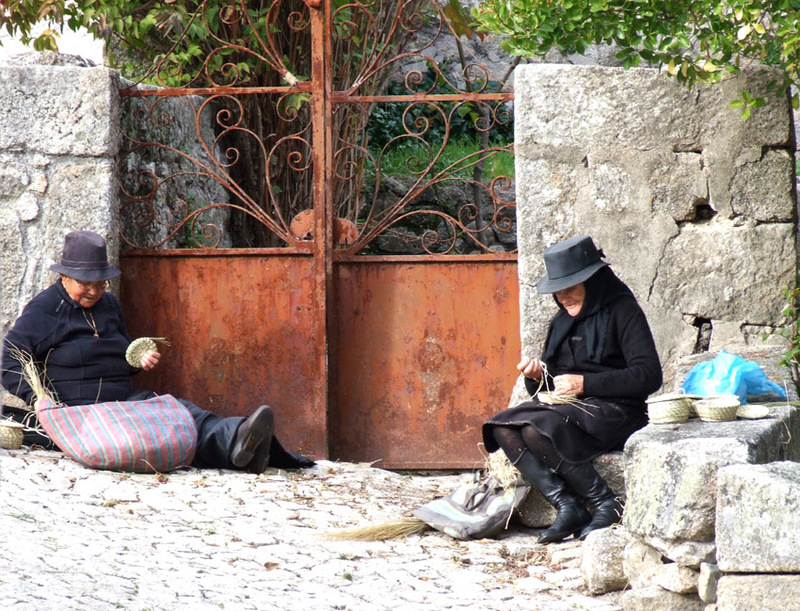 Most of the small towns and villages in this part of Portugal often look as if they’ve hardly changed in centuries and – standing on the granite battlements of their castles – it’s easy to imagine yourself back in mediaeval times. This ride originally involved just the ride from Belmonte to Sortelha (see below) but I’ve expanded it to provide the option of a longer circuit that also takes in Sabugal. Belmonte and Sabugal are both attractive places but Sortelha is one of the stars of this region – and is distant enough from the main tourist trail that you may well get the place to yourself. Cycling to Sortelha can involve a reasonable climb but it’s well worth the effort. Perched on a hilltop overlooking the wild country of Portugal’s northern borders is a castle that looks like it’s straight from the pages of some historical romance or fantasy epic. Best of all, you can wander the ramparts to your heart’s content. Just be prepared for the lack of safety barriers! Total distance is about 65km (40 miles). Most of the terrain is fairly gentle. Heading towards Sabugal there’s one climb but it’s long and not that steep. Approaching Sortelha from the east (Sabugal) also avoids any real climbing. It’s also possible to do a shorter circuit (see the second map) that leaves out Sabugal. Total distance in this case is only 38km (about 24 miles). The downside is that the ascent to Sortelha is much steeper from the west. It’s quite a stiff climb – but you do get the pleasure of coming back down it again! 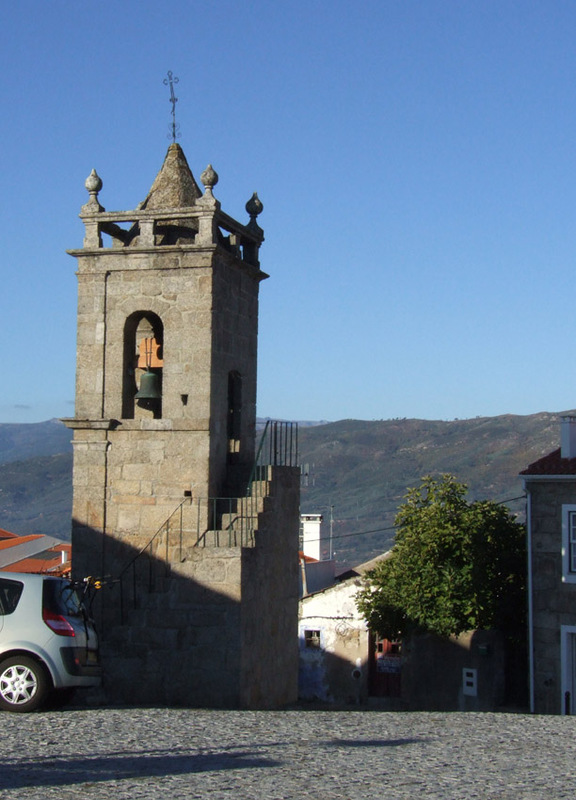 The nearest big towns to Belmonte are Covilhã (22km south) and Guarda (25km north) where you can find a good range of accommodation, supermarkets etc. Belmonte and Sabugal both provide some smaller shops, plus cafes, restaurants and a few accommodation options. Sortelha’s cafes and restaurants are a bit more touristy but it also has a number of turismo rural venues offering rooms in its old houses that could make for an extremely atmospheric overnight stop. The ride starts and ends outside the town hall in Belmonte, a pretty small town with a selection of fine old buildings and a restored Jewish quarter that was once one of the largest in Portugal. Belmonte is also the birthplace of Pedro Álvares Cabral, the ‘discoverer’ of Brazil, who was born in the 13th century castle. Apart from some attractive buildings and small squares, one of Belmonte’s other charms is its position. It’s a hilltop town with fantastic views west to the Serra de Estrela and east to the unspoilt and rolling rural landscape. From the town hall, follow Rua Pedro Alvares Cabral south and then drop down to join the ‘main’ road at the roundabout. Turn right towards the Covilha road and then left on the N18-3 towards the railways station at Belmonte Gare. Bear right at the next fork towards Carvalhal Formoso – going to the right of the hill ahead of you. At the junction with the N233 (about 7km from Belmonte), turn left for Sabugal. It’s all very rural and pretty around here – and you’re unlikely to encounter much traffic at all. You’re following a small valley for the next 6km and the terrain is more or less flat. After the bridge, you’ll be climbing for the next 13km or so (about 280m of ascent) through a mixture of farmland, olive groves and scrubby forest. The climbing is all quite steady though. You’ve then got a run down for the next 6km to Sabugal, with its riverside setting and restored castle. There’s not a huge amount to the town but it’s all quite pleasant and the castle’s high walls provide a good vantage point. Plus there are various options for lunch! Sabugal also makes a good base for visiting the 16,000-hectare Serra da Malcata Nature Reserve, which lies to the south. There are only a limited number of sealed roads through the park but it’s a beautiful area – home to wild boar, eagles etc. It’s also on the way to Penamacor, another hilltop town with a picturesque but ruined castle. Leaving Sabugal, return over the river, head back south again on the N233 and then take the first right. There’s a slight climb to get to Sortelha – another 13km away – but it’s all quite gentle and very quiet. Turn left in Sortelha to get to the castle and original walled town. Allow lots of time for wandering the old town and the castle’s fabulous walls – unless you’ve got vertigo, in which case you’ll definitely want to stay at ground level. Leaving Sortelha you’re going to drop quickly – about 180m in 3km. If you’re coming the other way, this is quite a testing climb with the toughest part at the top. Coming down from Sortelha, you need to take a tight turn to the right about 2km after leaving the village. Drop down into the bottom of the valley and then take the next left. This road winds through the countryside and around the base of some hills but stays pretty much on the level. You’ll pass the village of Benada to your right. After about 8.5km (from the tight right turn coming down from Sortelha), you turn right. At the hamlet of Olas, fork left and then stick on this road all the way back to Belmonte.